All of our Standard rooms have vaulted ceilings, ceramic tile floors and are elegantly decorated in a Spanish Colonial motif, which makes each room distinct, cozy, and charming. The bathrooms are large and graciously appointed with pedestal sinks and expansive walk-in showers. 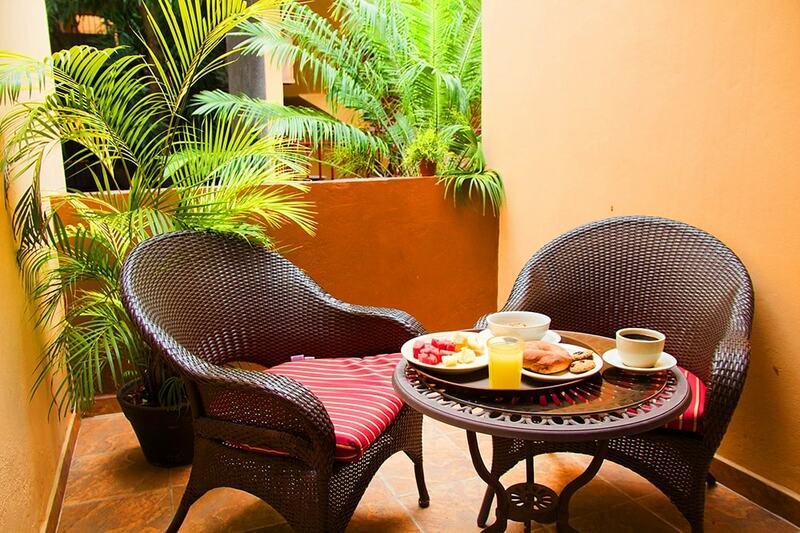 What make these rooms special are the private furnished balconies that overlook the courtyard fountain and gardens giving you another place to relax.